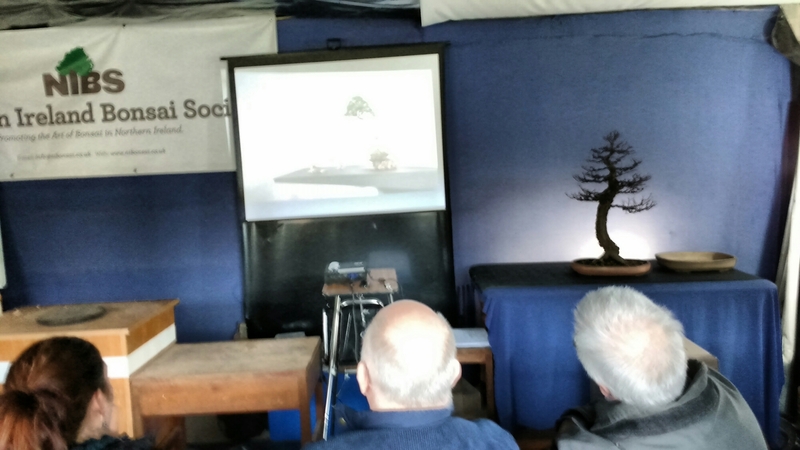 I attended the Northern Ireland Bonsai Society last night and it turned out to be a very enjoyable evening for several reasons. 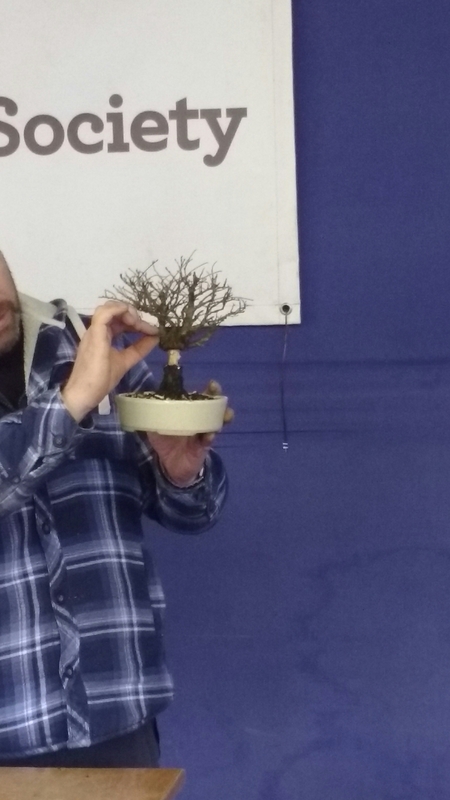 I came away thinking how much I benefit from meeting with other bonsai enthusiasts on a regular basis. I took my large larch with me, hoping to do some fine wiring but before I had even started I had bought a nice little pot from another member. It was a great match for my azalea that I had been struggling to find a new pot for. Secondly, I had a more experienced member sitting with me who was able to point out a few tips and suggestions when I eventually started wiring. 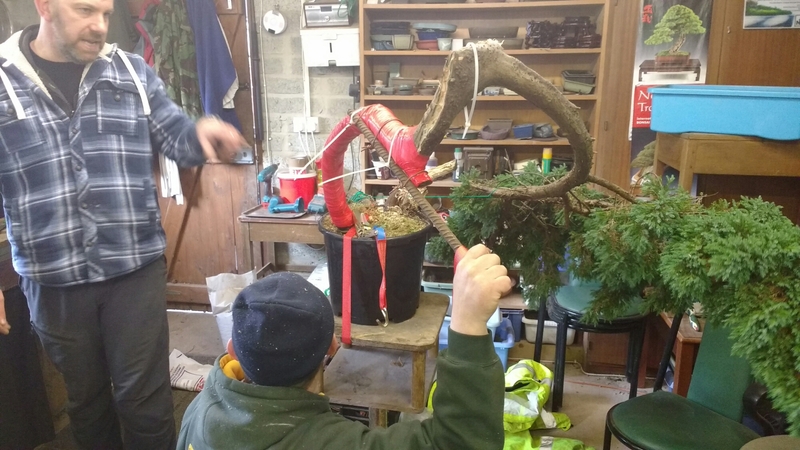 I’ll be first to admit that I am rubbish at wiring trees! 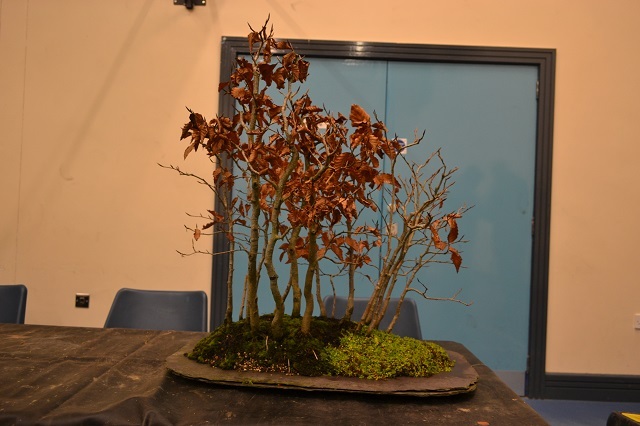 My lack of skill and confidence no doubt showed but having Michael there was very useful. Good chat and banter meant that the job was unfinished by the nearing end of the night and this brings me to point number three. 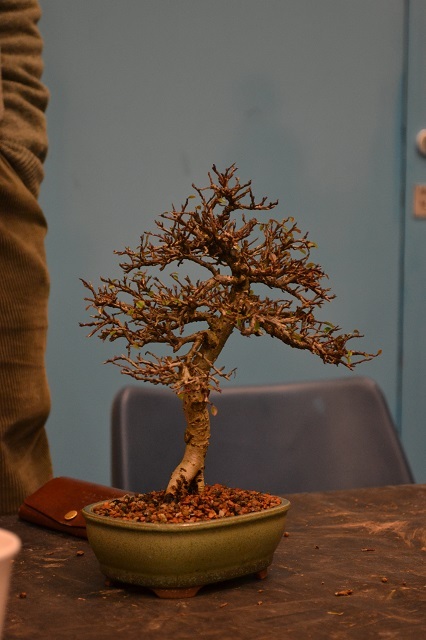 Our club chairman, a seasoned veteran, must have seen what a hash I was making of things and was kindly able to quickly complete wiring the main branches while a few of us looked on and listened to his advice regarding larch bonsai. Cheers Ian ;-)! It’s great to belong to a club that has people with a range of experience, skill and approaches to this fascinating hobby. 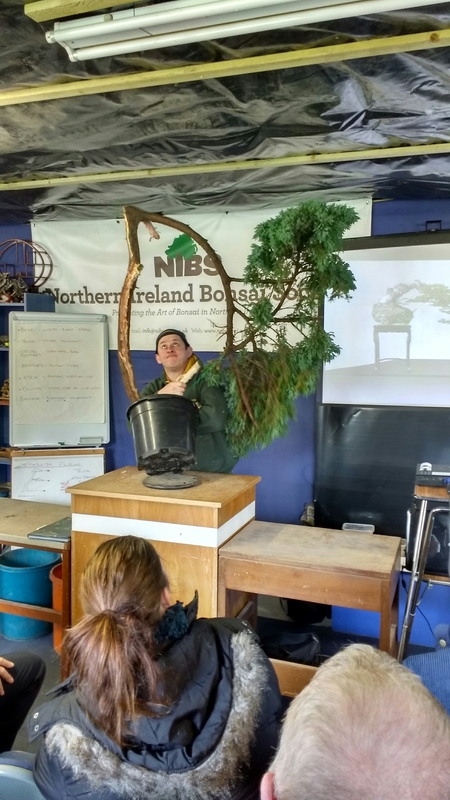 If anybody other than Bertie is reading this and doesn’t yet benefit from a local club, I’d strongly encourage you to join as there’s no better way to improve your abilities and knowledge of growing and maintaining bonsai in your local area. 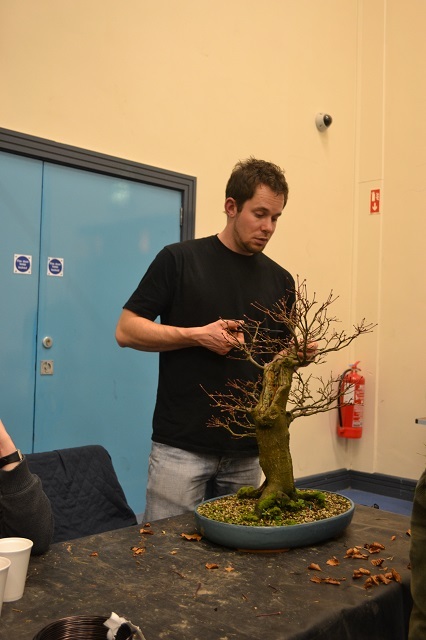 Some nice trees/material being worked on by members at the latest NIBS meeting on Friday night. 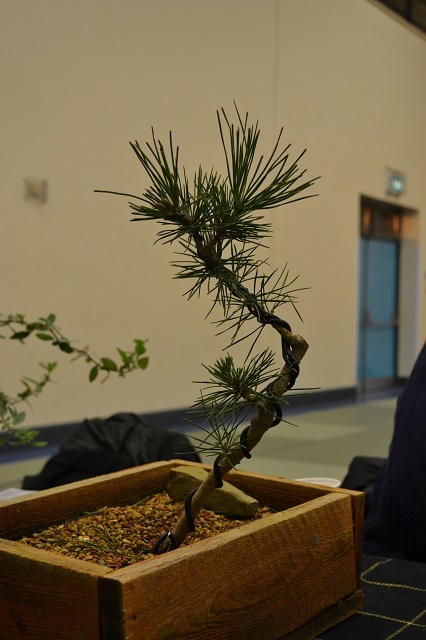 I practised a bit of wiring and styling of a young Japanese Black Pine that I’m training into a literati image. 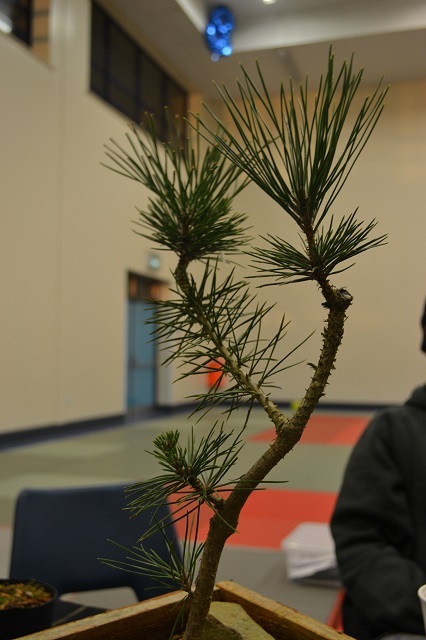 I pruned it in favour of the thinner trunk to get rid of the upper fork and promote better taper. It’s hard to see the movement in the tree in the photo but it is there. Over the next few years I’ll keep upper growth very short and build up two or three branch pads. I’m going to allow the lower/bottom buds free growth and then prune or jin them eventually.